Any Islamic State militants left in the Iraqi city of Mosul will die there, the US envoy to the multinational coalition battling the jihadist group says. Brett McGurk said coalition and Iraqi government forces were "committed to not just defeating them in Mosul, but making sure these guys cannot escape". He issued the warning after the Iraqi army's ninth division cut off the last road out of the west of the city. 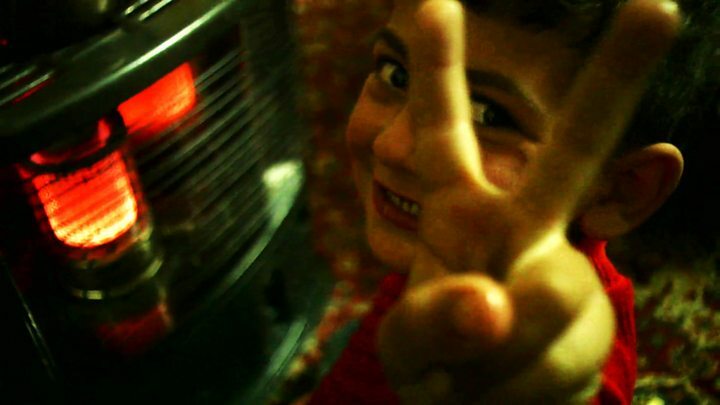 Mosul is the last major urban IS stronghold in Iraq. They now control all of Mosul's eastern side, and have driven IS militants from several western districts since mid-February. "Mosul's liberation is increasingly in sight, albeit with increasingly difficult fighting ahead,'' Mr McGurk told reporters on Sunday. He said Iraqi forces were retaking "some of the most difficult ground that we knew would have to be reclaimed". 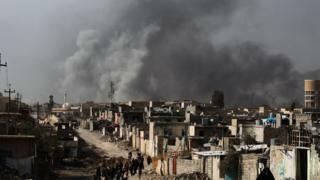 A US defence official said last week that there were no more than 2,500 IS fighters left in Mosul and Tal Afar, a town about 60km (37 miles) to the west. In a message in November, days after the government offensive began, IS leader Abu Bakr al-Baghdadi appeared to urge those still in Mosul to fight to the death. "Remain steadfast... Know that the price of remaining in your land with your honour is a thousand times better than the price of retreating from it in humiliation," he said. Baghdadi is believed to have left Mosul before it was surrounded and is thought to be alive. Staff Major General Maan al-Saadi, of Iraq's elite Counter-Terrorism Service, meanwhile estimated that government forces now controlled "more than a third" of western Mosul. He added that he believed the fight would be easier than in the east, which took 100 days to reclaim after the offensive was launched in mid-October. However, federal police and rapid response units say they have now entered the Bab al-Tob area of the old city, where the fight is expected to be tough due to its narrow alleyways. Armoured vehicles cannot pass though them. Iraqi military Joint Operations Command spokesman Brig Gen Yahya Rasool also said he believed IS resistance had "begun to weaken in a big way". It is thought there may be as many as 600,000 civilians still trapped in IS-controlled areas of Mosul. More than 65,000 have fled their homes in the past two weeks. The comments came a day after Iraqi forces said a "large mass grave" had been found near Badoush prison, where hundreds of mostly Shia Muslim prisoners are believed to have been summarily killed by militants when the city fell in 2014.